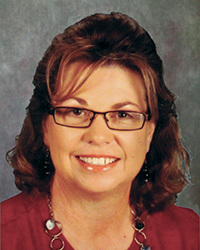 Karen Pack has been an educator for over 20 years, earning recognition and awards as a teacher and administrator. Karen most recently served in Spartanburg School District Seven where she held posts as school administrator, curriculum coordinator and classroom teacher. ​Karen received her Bachelor of Arts degree in Elementary Education from the University of South Carolina, her Master of Arts degree in Educational Leadership and Curriculum from Furman University, her Educational Specialist degree in Educational Leadership from the University of South Carolina, as well as South Carolina Superintendent Certification. Karen most recently completed the PhD Educational Leadership Program at the University of South Carolina. Karen and her family reside in the Upstate, just outside of Inman, South Carolina. She is excited about joining CERRA and looks forward to making contributions to the programs and services offered to future and current educators. She is currently serving as a Program Facilitator for the Teacher Cadet and ProTeam Programs in Region 2 - the Savannah River Region of South Carolina.